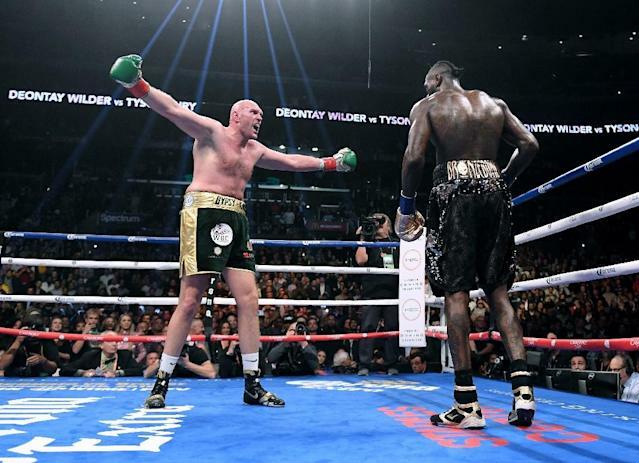 Los Angeles (AFP) - Deontay Wilder on Tuesday called for an immediate rematch with Tyson Fury, dismissing claims from his British rival he would attempt to avoid a return bout after their epic heavyweight duel in Los Angeles. "Both sides definitely want (a rematch) to happen. I don't see why we wouldn't. It's a great fight and the build-up has already started. We can't get away from this fight. "It's only right for us to go back in and do it again. I don't want no other fights to happen between him or I before then. I want to give Tyson Fury the rematch ASAP." Asked where he now saw Joshua's place in the heavyweight pecking order, Wilder replied: "I haven't even thought about Joshua. They're getting what they deserve." "So let them continue to fight the second tier fighters." Wilder also dismissed criticism of the scoring of Saturday's fight, adamant that Fury had not done enough to win. "He was landing some punches but most of them was pitty-patter, they didn't affect me," Wilder said. "When you coming in here fighting the champion, you've got to be dominant. You've got to take the title, and I don't think Fury took the title. I felt like I won that fight, totally."